The Cherbourg reclaimed traditional oak bedroon furniture range is hand-crafted using 100% solid, high-grade oak and features a subtle rustic design. Every piece within the Cherbourg oak range is carefully made with dovetailed drawers and comes complete with solid oak drawer bases and cabinet backs. This traditional oak furniture collection offers a unique and beautiful blend of classical, rustic styling, a crisp, clean finish and substantial build quality, meaning every piece within this chic solid oak range will last a lifetime. Buy online - UK stock - Quick Delivery. 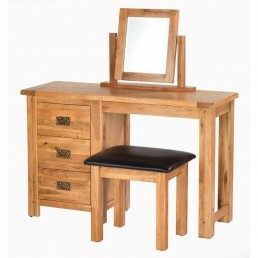 Cherbourg oak dressing table with the full set. 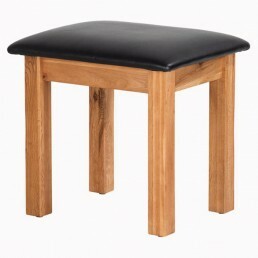 This furniture piece is hand-crafted using 100% s..
Cherbourg oak dressing table stool. 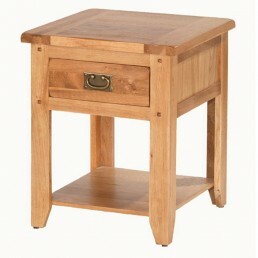 This furniture piece is hand-crafted using 100% solid, high-g..
Cherbourg oak bedside or end table with 1 drawer. 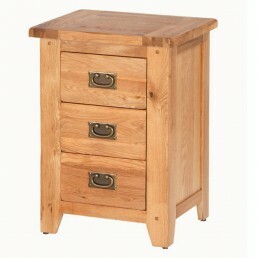 This furniture piece is hand-crafted using 100%..
Cherbourg oak bedside table with 3 drawers. 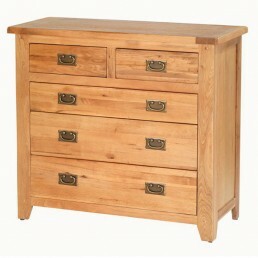 This furniture piece is hand-crafted using 100% solid..
Cherbourg oak chest with 5 drawers. 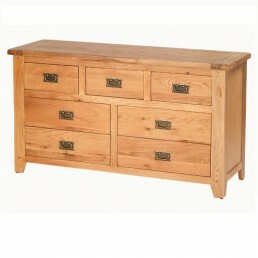 This furniture piece is hand-crafted using 100% solid, high-g..
Cherbourg oak chest with 7 drawers. 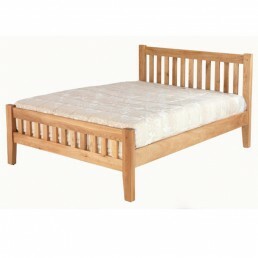 This furniture piece is hand-crafted using 100% solid, high-g..
Cherbourg oak double bed 4ft 6'. 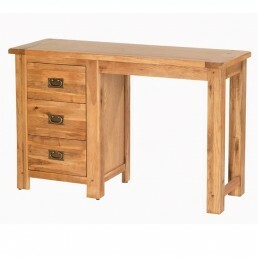 This furniture piece is hand-crafted using 100% solid, high-grad..
Cherbourg oak dressing table with 3 drawers. This furniture piece is hand-crafted using 100% soli..
Cherbourg oak king size bed 5 ft. 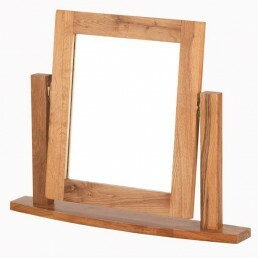 This furniture piece is hand-crafted using 100% solid, high-gra..
Cherbourg oak dressing table mirror. 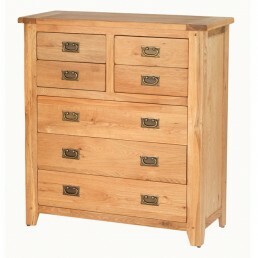 This furniture piece is hand-crafted using 100% solid, high-..
Cherbourg oak tall chest with 5 drawers. 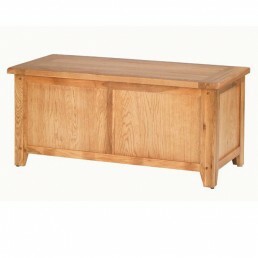 This furniture piece is hand-crafted using 100% solid, h..
Cherbourg oak trunk/Blanket box. 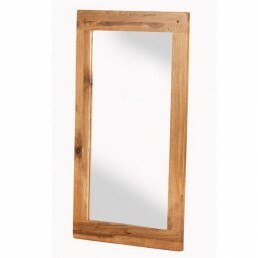 This furniture piece is hand-crafted using 100% solid, high-grad..
Cherbourg oak wall mirror. 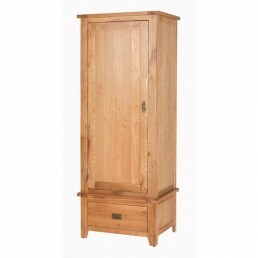 This furniture piece is hand-crafted using 100% solid, high-grade oak ..
Cherbourg oak single wardrobe with drawer. 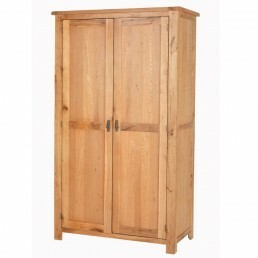 This furniture piece is hand-crafted using 100% solid,..
Cherbourg oak full hanging wardrobe. 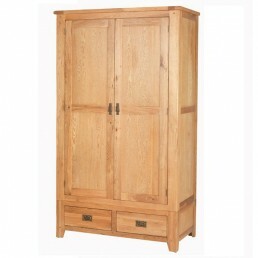 This furniture piece is hand-crafted using 100% solid, high-..
Cherbourg oak double wardrobe with drawers. 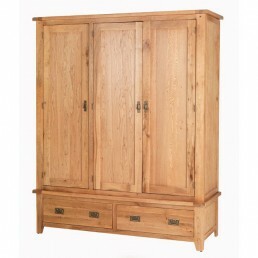 This furniture piece is hand-crafted using 100% solid..
Cherbourg oak triple wardrobe with drawers. This furniture piece is hand-crafted using 100% solid..
An oak is a tree or shrub in the genus Quercus which is Latin for "oak tree". There are around 600 species of oaks and the general name "oak" also appears in the names of many related species. The Quercus genus is native to the Northern Hemisphere of the world. It includes deciduous and evergreen species extending from cool to tropical climates in America, Asia, Europe and North Africa. Oaks have spirally arranged leaves, with some having serrated leaves or the entire leaf with smooth margins. Also. The acorns and leaves contain tannic acid which helps to guard from fungi and insects. The fruit is a nut called an acorn contained cup-like structure known as a cupule. Each acorn contains one seed and takes 6–18 months to mature depending on their species. Why is oak wood favourable for furniture making? Oak timber has a high density of about 0.75 g/cm3 giving it great strength and hardness. The wood is highly resistant to insect and fungal attack due to its high tannin content. Oak has a very appealing grain, particularly when quartersawn. Wide, quarter-sawn boards of oak have been used since the Middle Ages for use in interior panelling of prestigious buildings and in the making of fine furniture. Nowadays oak wood is still routinely used for furniture making, flooring, timber frame buildings and for veneer useage. Several types of oak timber are regularly used in contemporary and modern furniture. The ever popular natural oak wood has a natural light brown colour throughout the wood. Tiger Oak timber has an appearance similar to natural brown oak, but is much more stripy. Pippy oak has a cat's paw appearance within the grain. Burr oak wood has an appearance similar to pippy oak wood, but it is much denser. 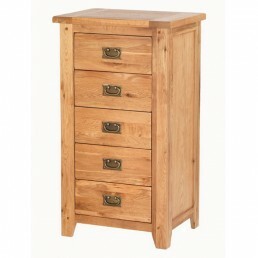 Solid oak furniture should always be built to traditionally high standards. Using centuries old methods, carpenters can make oak furniture that is strong, robust and with a naturally beautiful finish. Drawers should be made using dovetail joints which enhances the appearance and adds strength. The backs and drawer bases should be made from the same solid oak and fixed using traditional methods. To compliment, handles, fittings and wood finishing should be of the same high quality.